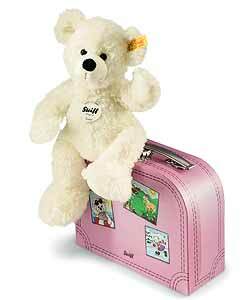 Steiff Lotte Teddy Bear in Suitcase, made in beautiful soft white plush. 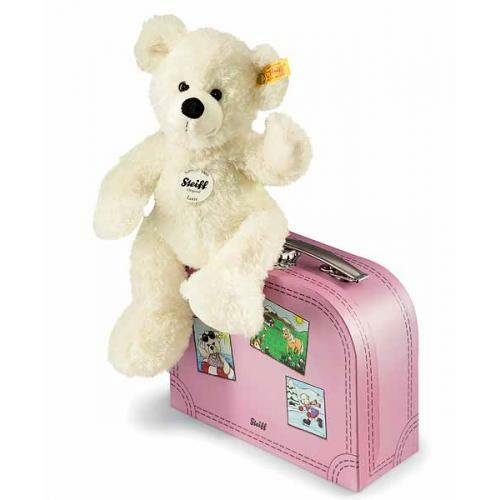 Lotte Teddy Bear in Suitcase is machine washable and Margarete Steiff list the size as 28cm. Lotte teddy bear comes with her very own suitcase.